This weekend our little family took an impromptu trip to visit my husband’s family in Evansville. Fox was super excited to see Grandma and Grandpa! It always takes longer than you think to get out of the house with a toddler and husband so I packed for Fox and I while Russ was at work so we’d be ready to go when he got home. We always make sure to bring teething necklaces, books, toys, crayons, a coloring book, and snacks for the car ride. A travel bag partially packed with diapers, wipes, diaper cream, portable dvd player & charger is always packed and ready to go. I also downloaded shows on my phone for the car, using my Amazon video app. 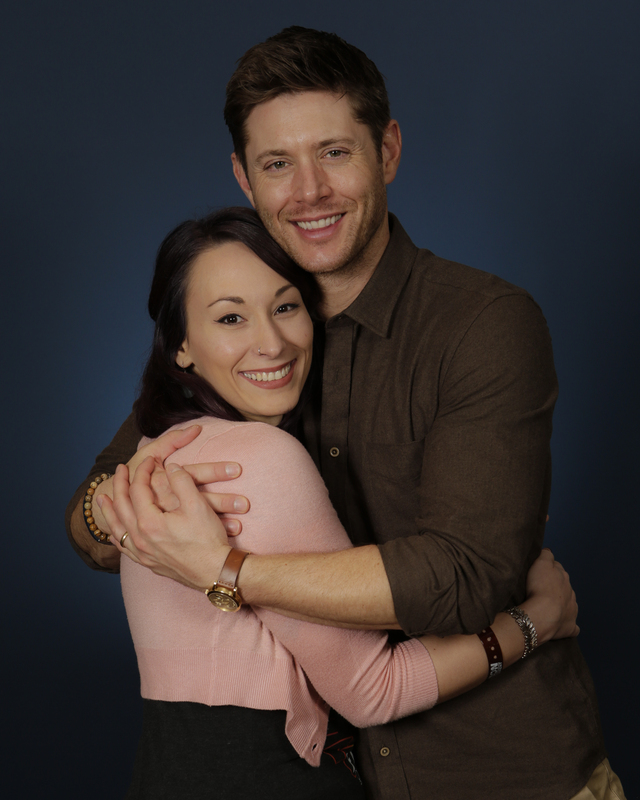 (A couple Tumble Leaf Episodes, some Peep and the Big Wide World, and the Little Bear movie). We always aim to travel when Fox’ tank is full; fed, well rested, clean diaper, after some time to run around. I hear some kiddos like to nap in the car, but Fox has never been one of them. Do what works for you and yours. Long car rides with our little guy have always been tricky, but they’re getting easier as there are more things he can do in his carseat. We listen to music while the fox puppet dances. We watch shows I’ve downloaded onto my phone, read books (especially interactive books like flap-books), and when we’ve done all that and there’s still about a half hour to go we go through daddy’s wallet and get silly. There were few squirmy moments, wanting out of his car seat to sit in my lap, but it didn’t last long before we found something else to entertain us. We were super happy to see Grandma and Grandpa! Once we got settled Foxer played pool with them in the pole barn, telling jokes about Grandpa not having any balls down there, (at his end of the table). While they played Russ and I got to sit and have a conversation, just the two of us, for the first time in a LONG time. It was very nice. People who live close to your family, be grateful! Toy tractor Grandma found at a yard sale! 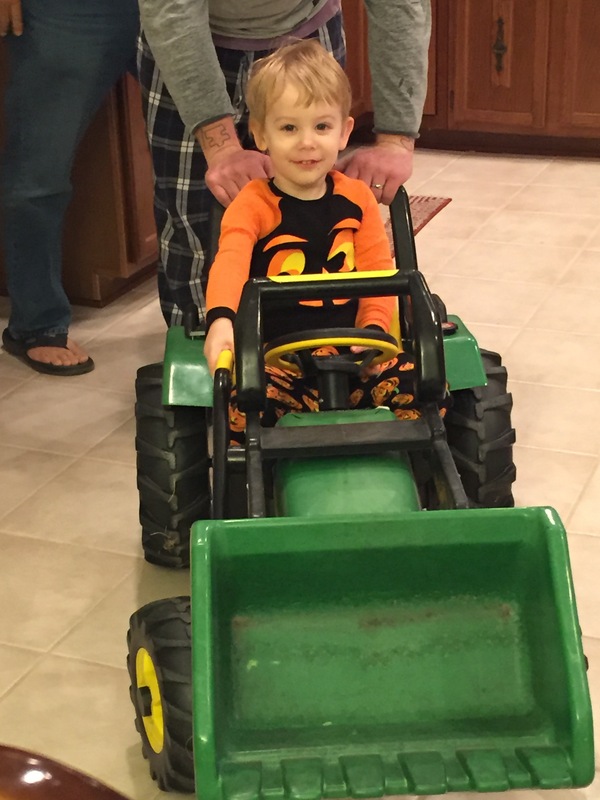 Grandma found a wonderful toy tractor at a yard sale and it was a big hit with Fox, who’s been pretty into construction vehicles lately! He also loves throwing the ball for Abby Girl, their big sweet golden retriever. On Saturday we went to the Fall Festival! (The 2nd largest outdoor festival in the country, behind Mardi Gras). We ate lots of yummy food and drank apple cider. 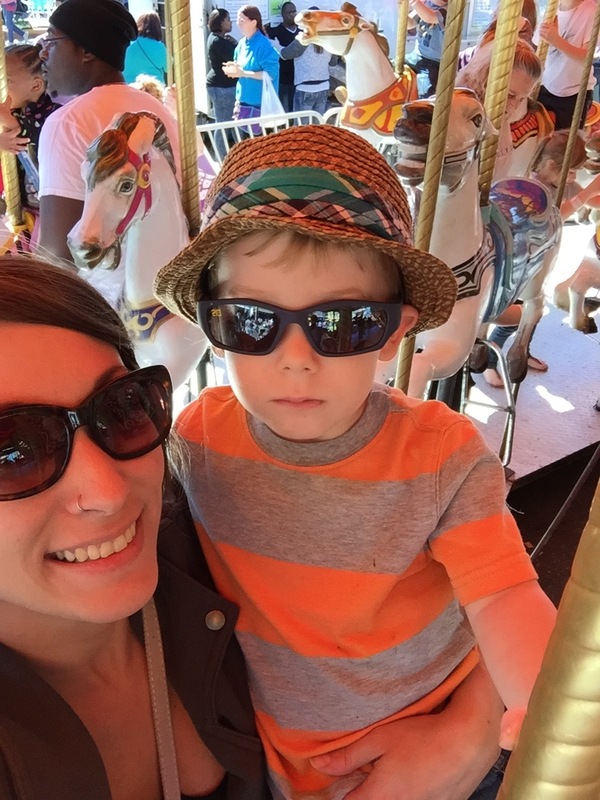 I rode the merry-go-round with Fox and we played a few games. He especially liked the rubber duckies that went around on the water in a loop. He won a stuffed cheetah and a colorful little soccer ball! But it was super crowded and with all the sights and sounds it was a bit of sensory overload for a toddler. We didn’t stay too long, but it was certainly a memorable experience! Believe it or not Fox enjoyed his first merry-go-round! That night, while we were playing in the pole barn again a little black kitten came up to the door! She was super sweet and let us all pet her. The following morning she was on the front porch. We asked around and found that she didn’t have a home. So Russ and I agreed to bring her back home with us! Her name is Jiji, (from Kiki’s Delivery Service), and she is possibly the snuggliest and most playful kitty I’ve ever met! Perfect for Fox! 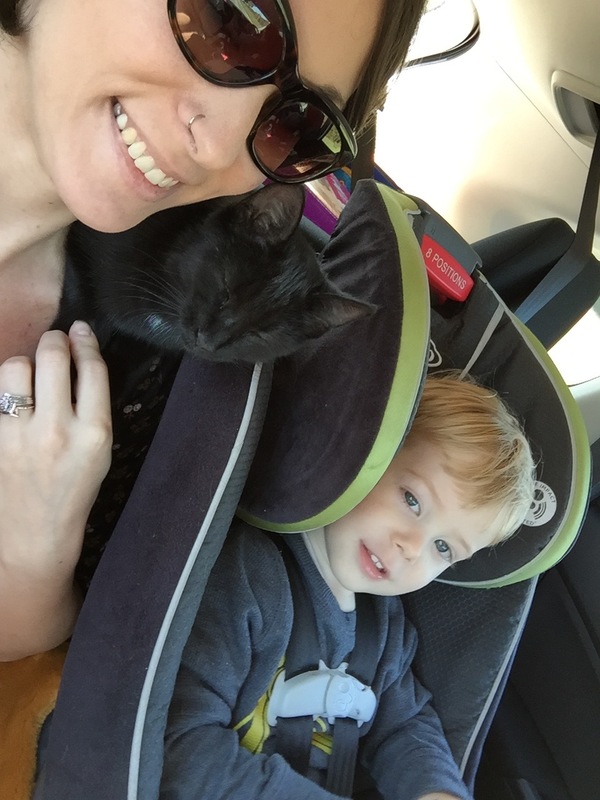 Bringing Jiji home! Can you spot the kitty? 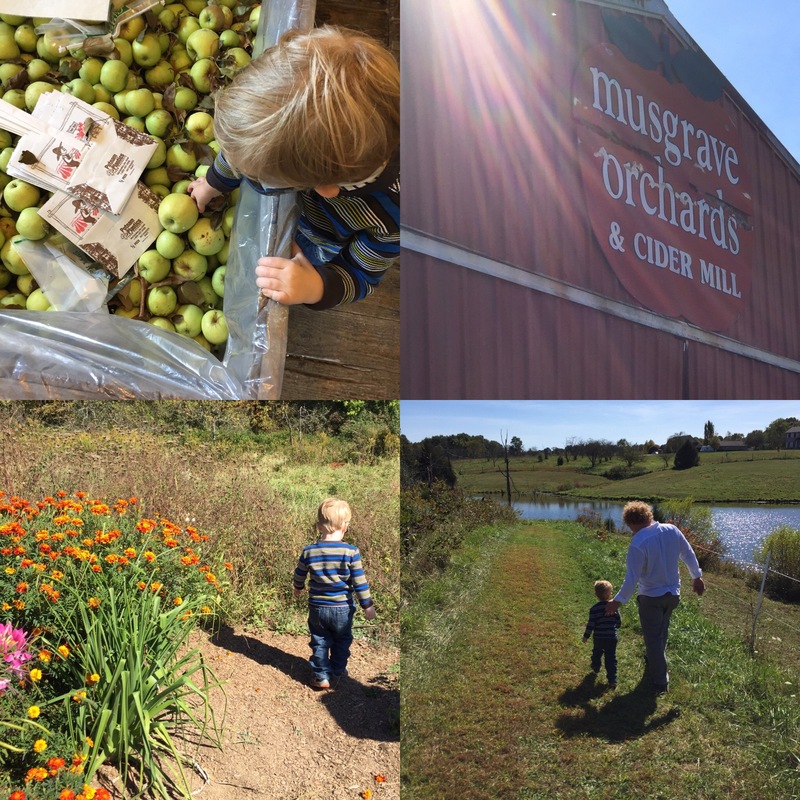 After getting Jiji settled back home we went to Musgrave Orchard for our friend’s 30th birthday party. It was the perfect Fall day for it and the orchard was gorgeous! They even had live music, with fiddle, playing on the patio for the party. Love that we have a place like that so close to home! Fox loved exploring their walking trail and checking out all the apples, pumpkins, and flowers. We all had such a wonderful time and are looking forward to our next trip to visit family and to the orchard! What special Fall activities do you like to do?